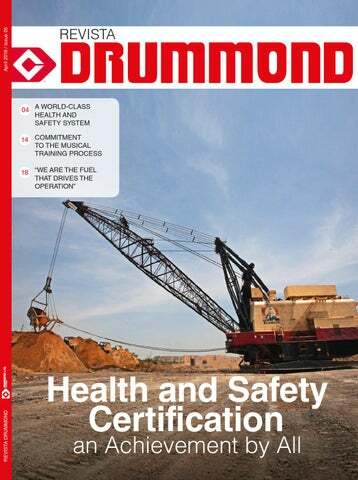 Revista Drummond is a publication edited by Drummond Ltd. Colombia. The opinions in the articles reflect only the view of the authors. Any full or parcial reproduction of the editorial and graphic material published here without the express permission from the authors is prohibited. e began the new year with great challenges and opportunities to grow stronger as a company, and to continue to actively contribute to the country’s development, a path that we have been pursuing for more than 25 years, since we started our operations in Colombia. The main challenges that we took on, as part of the principle of continuous improvement, include solidifying the safety of our operations, reducing our environmental impact, developing our human talent and promoting the social and economic development of our areas of influence. This is without neglecting or ignoring the fact that we are going through difficult circumstances on the international market with a cycle of low prices, and no one knows how long it will last. However, in each one of the challenges that we have faced, we have worked with intensity, unity and commitment, and the results have been satisfying. On January 6th, Lloyd’s Register granted us an OHSAS 18001:2007 certification for our Health and Safety Management System for our coal operations in the Pribbenow and El Descanso open pit mines. Meeting this milestone contributes to strengthening our culture of prevention, positioning Industrial Safety as a way of life. Obtaining this international certification is an achievement by all of our employees, who took control of the process. With gratitude, I mention the involvement of our core staff, administrative employees, internal auditors, sponsors, superintendents and even our contractors. Between 2013 and 2015, more than 4,000 people took part in this initiative. Drummond has always respected it employees’ right of association and it has listened to them in the collective bargaining agreements. This is why currently more than 60% of our workforce belongs to one or more of the five unions that have formally been established at the company, and approximately 75% of our employees are covered by these agreements. The company has made the development of the communities in its area of influence a priority. One of the initiatives that it has implemented in this regard is support for music schools in the area, through which it has contributed to children’s education, to strengthening the social fabric and to promoting the community. Signs of solidarity, determination and commitment are present in our environmental management work. It is worth mentioning that we have the country’s largest fleet of water tankers by unit, which has allowed us to significantly reduce the atmospheric emissions generated by our operations. Health and Safety System Thanks to the commitment and empowerment of our employees, to their dedication, perseverance and teamwork, on January 6th of this year we earned the OHSAS 18001:2007 certification for our Health and Safety Management System for the extraction of coal at the Pribbenow and El Descanso open pit mines. his collective and international achievement brings great benefits, such as strengthening a culture of prevention, with its primary focus on people, controlling risks, reducing occupational accidents and diseases and constant improvement in managing health and safety in the workplace. It also allows the company to compare itself worldwide with other mining companies in terms of industrial health and safety. â&#x20AC;&#x153;The complete dedication by our human resources and the support of the Vice President of Mining Operations have been instrumental in this process, in which we have also involved our contractors,â&#x20AC;? said Ă&#x201C;scar Vega, Industrial Safety Manager for Mining Operations. This is not the first time that Drummond Ltd. has obtained the OHSAS 18001 certification. In 2011, the Workplace Health and Safety Management System that applies to the coal receiving, handling and loading processes at Puerto Drummond was certified by Lloyd’s Register Quality Assurance (LRQS), who renewed the certification in 2014. Each certification brings a series of commitments that are audited by the certifying company through a group of international auditors. Each audit is another opportunity to improve and grow the management system. In this regard, Sergio Caballero, Director of Industrial Safety at Puerto Drummond, stated: “The auditors recognize that our system is meeting the legal requirements that apply to our activities and the commitments stated in our policy”. Below we discuss the main processes, experiences, factors for success and the lessons learned, both at the mine and the port, to obtain this certification that ensures that the company’s Health and Safety Management System is aligned with an international standard. MINING OPERATIONS In 2013, the Mining Operations decided to begin the OHSAS 18001 certification process. However, this intention was solidified in 2014 and the certification process at the port was reviewed in detail, in order to standardize some activities and take into account the best practices. In the second half of the year, an action plan was established and they formally began working towards obtaining the certification, for which a launch event was held. That same year, they began to execute four main tasks in parallel: 1. Training and evaluation: Drummond Ltd.’s employees were trained on OHSAS 18001, from its core staff to members of the administrative area, so they could understand what the certification consisted of, what a management system is, and how important it is. In 2011, the Workplace Health and Safety Management System that applies to the coal receiving, handling and loading processes at Puerto Drummond was certified by Lloyd’s Register Quality Assurance. In May 2015 the company launched internal audits to evaluate the Health and Safety Management System, in accordance with the standard’s requirements. equipment and working in confined spaces. Then, an interdisciplinary group was created including contractors and Drummond employees, in order to update the procedures and permits to perform this type of work. With these four tasks carried out, in May 2015 the company launched internal audits to evaluate the Health and Safety Management System, in accordance with the standard’s requirements. To do so, 235 internal auditors from different areas were trained, including the administrative, storage yard, warehouse, railroad and hydrocarbons areas. Some of our contractors were also part of this team. “This exercise allowed us to identify strengths and opportunities for improvement. But we still needed to have an outside opinion, so in August the company hired the company Sicte to verify our management system. This organization made some recommendations, which we started working on immediately,” said Oscar Vega. When Drummond Ltd. felt that it had solidified the Health and Safety Management System in its mining operations, it asked the certification agency Lloyd’s Register to conduct an audit. Due to the scale of the operations, the process was divided into two phases: one at the end of October and another in early December, when a favorable opinion was received from the certification agency’s audit team. Finally, in January 2016 we officially received the OHSAS 18001:2007 certification for the mining operations. The process with Lloyd’s Register was very enriching for Drummond Ltd., since “the auditors were international and knew the mining sector very well, which allowed them to transfer invaluable knowledge to us,” said Vega. “The implementation of the management system has established health and safety as a way of life for our workers,” he added. Creation of Sponsors: In December 2014, a meeting was held with the superintendents and they were asked to choose a person from each department to lead the certification process and generate empowerment in the group. By doing so, the responsibility would not belong exclusively to the Health and Safety Departments. Then, one sponsor per area was appointed and trained so the process could flow smoothly. There were even areas with three sponsors, one per shift. Teamwork: In 2014 and in 2015 the entire organization came together to earn the OHSAS 18001 certification, from senior management to the core staff. “We reached such a degree of collaboration and empowerment that employees protected the system and encouraged the team to remain committed to the certification process,” said Vega. When the certification’s expiration date arrived, a new external audit was conducted to renew the certification until 2017. What’s Next for Drummond Ltd. in Terms of Health and Safety? Strengthening the Health and Safety Management System and ensuring continuous improvement, achieving the goal of preventing occupational accidents and diseases. recommending its certification. This gave rise to the first OHSMS certification, in effect since July 2011. During 2011 and 2014, a series of monitoring and maintenance audits were conducted, establishing several improvements to the system. When the certification’s expiration date arrived, a new external audit was conducted to renew the certification until 2017. “The company has a system that meets the requirements and that has been proven to be effective in protecting people, preventing occupational diseases and complying with the policy; the teamwork and commitment by senior management has been critical to the growth of the system,” noted Sergio Caballero, Director of Industrial Safety at Puerto Drummond. A Comprehensive Management System Effective Management Systems communicate with each other. Each process involves checks on safety, health and environmental risks. With the advent of the ISO 14001 certification for the environmental management system, and thinking of integration and complementary processes, we were able to organize activities as a group based on each management system’s requirements. Today the safe working procedures, planned inspections, internal and external audits and management reviews are conducted together, enriching each process. Similarly, the safety and environmental platform is on the same intranet, allowing for proper management of the documents from the systems and making it easier for users to manage the information. OHSAS 18001: A Path to Excellence for the Health and Safety of our Employees The OHSAS 18001 certification at our mine and port operations represents a great improvement in terms of the parameters that we apply to ensure the safety and welfare of our teams, as it allows us to measure ourselves according to an international standard with high quality demands. “We reached such a degree of collaboration and empowerment that employees protected the system and encouraged the team to remain committed to the certification process,” Óscar Vega, Industrial Safety Manager for Mining Operations. What is the OHSAS 18001 standard? It is a standard that sets out the minimum requirements for best practices in workplace health and safety management. The Occupational Health and Safety Assessment Series -OHSAS- is extremely useful in protecting the well being of our employees. Only companies with excellent employee health and safety mechanisms are able to obtain it. More and better workplace safety for all: This standard allows us to identify hazards, prevent risks and promote the control measures needed in the workplace to reduce accidents. There is a certification for work in the mine and another for tasks performed at the port, taking into account the differences between the two. At the end of 2008 and during 2009, an internal document review was begun to meet the standardâ&#x20AC;&#x2122;s requirements and strengthen the requirements. In 2014 we trained 4,200 Drummond Ltd. employees, from our core staff to various contractors, on OHSAS 18001. Between February and June 2010, the first cycle of internal audits led by an external auditor to evaluate the management system was scheduled. During the month of August 2010, the preaudit was carried out by LRQS, finding that there were no obstacles to qualify for the next certification stage. In June 2011, the second phase of the external certification audit was conducted, concluding that Drummond Ltd. had implemented and maintained a management system in accordance with the OHSAS 18001 standard. In 2011 the certifying agency granted us OHSAS 18001 approval for 3 years. In May 2015 we began internal audits to evaluate the Health and Safety Management System, in accordance with the standardâ&#x20AC;&#x2122;s requirements. To do this, we trained 235 auditors (employees from different areas of the organization). Once we consolidated the data from our work on health and safety, we invited Lloydâ&#x20AC;&#x2122;s Register (certifying agency) to conduct the audit. The process ended in December 2015, but the certification was issued at the beginning of this year due to the required administrative procedures. When the expiration date arrived, a new audit was performed and we were recertified for the standard in 2014, in recognition of our compliance and the growth of our system. Building trust: An independent auditor is responsible for ensuring that the organization complies with all of the legal requirements. Continuous improvement: The standard establishes a series of subsequent evaluations with the aim of seeking excellence in the health and safety system. Water Tankers: Tools for a Safer and More Sustainable Operation Safety in our operations, caring for the environment and the welfare of our employees are aspects that are of the utmost importance to our work. For this reason, at Drummond we have invested in the acquisition and maintenance of 30 water tankers, special equipment that plays an essential role in our mines. resources we use dust suppressants on the perimeter road, additives that, when they are added to water, slow its evaporation and make its particles stick to the soil, forming large clusters that do not rise due to their heavier weight. In this way, we use less water in the process.” “Between 70% and 75% of emissions at a mine are the result of heavy vehicle traffic. Hauling material is one of the main sources of particulate matter in any open pit mine, according to the emission factors calculated by the US EPA (Environmental Protection Agency),” Contreras commented. At Drummond we have 30 tankers, 17 at the Pribbenow mine and 13 at the El Descanso project. It is the country’s largest tanker fleet per unit of production, with the largest irrigation capacity, since each one can hold up to 20,000 gallons. The tankers’ main task is to control the emissions of particulate matter on the roads that can affect the environment or endanger our workers. our operators is jeopardized. For this reason, watering from the tanker trucks is strictly coordinated, avoiding any kind of mishap. The sprinklers initially came at a taller height with respect to the ground than the one we currently use, a factor that created water cover over a larger area than necessary and a smaller proportion of irrigation per square meter. It is essential to only wet the places where vehicles travel and to use a greater amount of water. To make better use of this liquid, the sprinklers were moved closer to the ground, resulting in a more efficient use of our water resources. At Drummond we invest in different aspects to protect the environment, protect the health of our workers and ensure the full performance of our operations. Each year, we allocate more than 35 billion pesos (US$12 million) to the operation and maintenance of our water tankers. Commitment to the Musical Training Process “We are committed, heart and soul to the project”. ince 2004, Drummond has supported the musical training process at the Filemón Quiroz School of Music, located in the municipality of Becerril, mainly through supplying musical instruments, contributions to infrastructure and uniforms. José Salatiel Madrid González, a teacher who has worked at the institution for 19 years, spoke with Revista Drummond about the impact that the school has had on reconstructing the social fabric, the role of the private sector and his achievements and challenges for 2016. Revista Drummond: How was the partnership between Drummond and the Filemón Quiroz School of Music formed? José Salatiel: In 2004, through the Parents’ Association, we contacted representatives from Drummond’s Community Relations Department to come for an exploratory visit and see the conditions in which the children were rehearsing. Drummond, sensitive to the situation, decided to give us their support and signed an agreement that is now over a decade old. Since neither the municipality nor the parents have the resources to make a similar investment in instruments, without their support as a strategic partner, we would not have such a satisfying musical training process, due to their high cost. This support has allowed the school to increase its number of beneficiaries. In 2015 alone, we benefitted more than 400 students. Due to the school’s success, the company decided to provide musical instruments to other municipalities that are in its area of influence in el Cesar, such as La Jagua de Ibirico, Chiriguaná, El Paso, Codazzi and Bosconia. At the end of 2014, Drummond made the commitment to implement the Symphony Orchestra Center, with the support of the Foundation for the Promotion and Cultural Development of Becerril and the Municipal Mayor’s Office. R.D. : What was the creation of the Symphony Orchestra Center of Becerril like? J.S. : At the end of 2014, Drummond made the commitment to implement the Symphony Orchestra Center, with the support of the Foundation for the Promotion and Cultural Development of Becerril and the Municipal Mayor’s Office. To meet this goal, the company provided 80 instruments, including violas, violins and basses. This center is located in the Casa de la Cultura and it is unique in the department of Cesar, and along the entire Atlantic Coast. Currently, through this program, we have benefitted 80 children from the community, a significant number just a year after being implemented. R.D. : What is the musical training process like? J.S. : We have a partnership with the two public schools in the municipality: the Ángela María Torres Suárez School and the Trujillo School. From Monday to Friday we go to these educational institutions and give introductory music classes to the children in elementary school. During the week, we also train the young people who are part of the symphony orchestra and the philharmonic orchestra at the Casa de la Cultura. Thanks to our children’s talent, we have had the opportunity to represent the municipality in other parts of the country, strengthening their cultural exchange experience. We have gone to San Pelayo, Córdoba; Paipa, Boyacá; Quindío, Risaralda, Neira, Caldas; among other places. R.D. : What impact does the music school have on strengthening the social fabric of the communities? J.S. : The impact is immeasurable. It is a very lovely social project. We are educating better citizens. Through the music school, how many men have we snatched away from war, crime and idleness? Last year, the municipality’s top ICFES (national standardized test) scores were from students who attend the music school. This shows the strong influence of culture on human development. R.D. : Generally speaking, what path do young people from the school follow once they graduate? J.S. : Many of them study toward degrees in music, join professional groups or are training in other areas to work for Drummond. One case to highlight is that of the director of the band from the municipality of La Jagua de Ibirico, who is a graduate of our school. We were able to include him in the Colombia Creativa professionalization program to study for a bachelor’s degree in music. Currently, he has a college degree. R.D. : What awards have you received? J.S. : We are committed, heart and soul, to the musical training process, which led us to receive several awards. In 2000, the school was used as a model by the Ministry of Culture, because of its organization and musical level; in 2007 we were recognized as the best institution at the national level, and in 2010 we won the National Festival del Porro in San Pelayo. In 2015 we were invited by the Ministry of Culture, through the Bombardinos Foundation of Colombia, to the tribute that was offered nationally to maestro José Barros, in the city of Barranquilla. In 2015 we were invited by the Ministry of Culture, through the Bombardinos Foundation of Colombia, to the tribute that was offered nationally to maestro José Barros, in the city of Barranquilla. These are some of the awards that we have received, and they are the result of the tripartite alliance that has been created among Drummond, the Mayor’s Office and civil society. R.D. : What are your challenges for this year? J.S. : There’s a lot to do to promote community development, with the support of Drummond as a strategic ally. However, the main challenge is to strengthen the training process at the Symphony Orchestra Center. In order to strengthen the hospital infrastructure and improve the quality of life in the towns in its area of influence, Drummond donated 100 million pesos to equip the Pediatrics Department at the San Cristóbal Hospital in Ciénaga with high-priority items such as infusion pumps, defibrillators, vital sign monitors, oxygen regulators, refrigerators for medications and adjustable beds. Prior to this donation, the company and public and private partners had allocated 197 million pesos to updating and improving the entire Pediatrics Department. As part of the Rural Schools program in La Jagua de Ibirico, the municipal mayor’s office and Drummond delivered a school with a computer room and cafeteria, among other areas that contribute to the children’s development, to the people of the village of Las Ánimas. The company invested 120 million pesos. “We would like to thank the mayor’s office and Drummond for this project that will change our lives,” said a resident of the village. Training and Job Creation through the In House Program Through its In-House program, Drummond began training a new group of residents from the communities in its area of influence to operate haul trucks. The 24 beneficiaries received 500 hours of theoretical and practical training in a dedicated training area featuring two Caterpillar 793 trucks and an obstacle course, which allowed them to have direct contact with the operations. Including this group, the company has trained a total of 464 beneficiaries, of which more than 90% have joined its workforce. Through its Community Relations department, the company provided water to the communities of El Hatillo and La Loma to mitigate the problems caused by the damage to the pumping distribution system at the water treatment plant in La Loma. The company also made an investment of more than 150 million pesos to repair the treatment plant in La Loma and purchase submersible pumps, one of which was for the village of El Hatillo, under that district’s jurisdiction. To promote the proper investment of resources and the creation of efficient projects in the region, Drummond hosted the Second Good Governance Training Seminar. At this event, it trained and provided tools to the governors, mayors, departmental representatives and city councilmen from the mining and rail areas of influence in order to strengthen their government programs. Scholarship for Journalistic Excellence in the Department of Cesar On February 5th, as part of the presentation of scholarships to low-income youth in Cesar, the Circle of Journalists of Valledupar and Drummond Ltd. formed a partnership to award a postgraduate scholarship to a journalist from the Department of Cesar. The recipient of this scholarship will receive payment of the full cost of the postgraduate diploma course at a university in the region. Drummond, Sponsor of the Valledupar Soccer Club With an initial contribution of 40 million pesos to provide uniforms, warm-up suits, travel bags, t-shirts, gym bags and other equipment, the company joined the soccer team from the capital of the Cesar Department as a sponsor. “Today Drummond is showing significant support, a partnership that motivates us to give our best for our fans and for the region,” said team captain Luis Moreno. that Drives the Operation” By Raimundo Plata y Glen Fuentes. Assistants Warehouse Supervisors in the Materials Department in Puerto Drummond. At Drummond we know that without our employees, it would be impossible to achieve the objectives we have set. Therefore, we ensure that their work is recognized and encouraged. The company has a recruitment and compensation policy that is intended to attract, motivate and retain the best human capital. Human Resources factors: internal equality, in order to establish fair payment according to skills, knowledge, experience and responsibilities; this avoids any kind of discrimination related to race, gender, creed or social class, and it makes Drummond an organization with opportunities for all. The second aspect is competitiveness, which has to do with establishing our compensation plan to attract the best talent, using the Colombian labor market as a reference, especially the mining and energy sector. To do so, the company participates in a variety of wage surveys or hires specialized consulting firms, which provides objectivity in the results that are obtained. In addition to the benefits required by law, Drummond Ltd. offers a number of extra benefits that contribute to its employeesâ&#x20AC;&#x2122; welfare and help meet their basic needs in terms of health, savings, housing, food, recreation and transportation, among others. Your Health Comes First For Drummond Ltd., the welfare of its employees and their families is a top priority. Precisely for this reason, it offers, through the Hospitalization and Surgery Policy, comprehensive health coverage for its employees and their immediate families. The policy was developed according to employeesâ&#x20AC;&#x2122; needs, in order to complement the services under the Mandatory Health Plan (POS, in Spanish), and it allows everyone to carry out their daily tasks with confidence. Additionally, it provides peace of mind thanks to the benefits that their families receive, which include exclusive doctors and preferential access to specialists, private clinics and commercial medications. The policy also covers hospitalization and surgery, maternity (pregnancy, birth), high-cost illnesses and emergencies, all in one comprehensive service. Impact of the Coverage: The policy covers, at present, 18,790 people. Of those, 16,554 (88%) used one of the services offered. It provided for 14,545 specialized consultations, 12,112 outpatient services, 5,390 emergency room visits and 3,949 hospitalizations, and 14,373 members used medications. 4,000 users received flu shots. 227 births, with no record of cases of maternal or perinatal mortality. Shorter hospital stays (average of 3.6 days) as compared to the general standard for Health Services Providers (4 days). Programs focusing on promotion and prevention in key areas of healthcare, such as pregnant women, growth and development, family planning and cardiovascular risk. The policy has coverage for services in the mine and port areas of influence, as well as in major cities where employees and their families reside. amount according to the affected coverage. The cost of the premium is paid in full by the company. Insuring the Future To support employees in building their assets, the company has sought to create a culture of saving through an Institutional Savings Fund. Those who enroll can save up to 10% of their base salary, and the company makes a contribution corresponding to 30% of those savings, encouraging the dreams of our human capital. Currently, 37% of Drummond Ltd.â&#x20AC;&#x2122;s employees are enrolled, and they save an average of 9% of their salaries, remaining in the plan for more than five years. Our goal is for everyone to be part of this benefit and begin to build their assets. In addition to the savings plan, Drummond also has a home loan program, through which it offers different types of credit established in the housing programs. The loans issued by the Revolving Housing Fund have highly competitive interest rates and repayment terms (loan installment payments) ranging from three to eight years, depending on the type chosen, which helps our employees to build their assets. Since its inception, the Fund has benefited more than 1,800 people. We Recognize Hard Work In addition to the payment of the two bonuses required by Colombian law, the company seeks to motivate its workers with three extralegal bonuses (in June, December and during vacation time). To support employees in building their assets, the company has sought to create a culture of saving through an Institutional Savings Fund. Additionally, for the employees covered by the scope of the current Collective Bargaining Agreement/Arbitration Award, Drummond recognizes a seniority bonus upon completion of three, five, eight, ten, thirteen, fifteen and twenty years of service. In 2015, 2,032 people received this recognition of their loyalty to the organization. We Contribute to Continuing Education Drummond understands that there is nothing more important to its employees than their children, and for that reason it contributes to their academic training. The company offers aid and scholarships for preschool, elementary and middle school, high school or university. During 2015, at total of 8,914 aid packages were granted. Similarly, Drummond contributes to continuing education for its human resources, which is why it provides assistance for educational costs in the programs that they decide to begin or that they are enrolled in at universities recognized by the Ministry of Education. Employees compete for the spots granted by the company, which is how 90 employees enjoyed this benefit during 2015. High-Quality Transportation Aware of the importance of contributing to employeesâ&#x20AC;&#x2122; welfare in other areas outside of work, considering that life has many dimensions, and that they all affect happiness and motivation, the company has a fleet of buses and mini-buses to provide daily transportation for personnel to their homes and/or the place that they stay while working. At times, workers who come from other cities must remain near the mining operations for several days. Therefore, the company has two housing complexes that offer 80 triple occupancy rooms and contribute to a comfortable stay. We Ensure Comprehensive Welfare Additionally, one of the crosscutting issues in terms of employees’ quality of life is food. For this reason, through our catering service, the company provides them with balanced meals by nutritional experts. This food should be accompanied by an exercise routine, according to each employee’s interests and preference. The company supports the Sports Committee by sponsoring events and providing equipment, such as shirts, shorts, cleats and balls. Sometimes, depending on the sport, Drummond helps with registration and refereeing during these sporting events. Employees’ quality of life translates into better performance and, therefore, better results. With that in mind, the company also provides a yearly sum to employees covered by the scope of the current Collective Bargaining Agreement/Arbitration Award who have been prescribed prescription glasses. As a result, 1,523 people benefitted in 2015. Drummond Ltd. also welcomes the creation of new families, which is why it supports those covered by the scope of the current Collective Bargaining Agreement/Arbitration Award when they decide to marry, and to start this new stage of their life in the best way possible, they are provided with a certain amount in cash. Currently, 85 have benefitted. Industrial safety, the Cornerstone of our Operations Industrial safety is one of the cornerstones on which a good working environment is founded, since working with the proper elements to protect employees’ health leads to activities that minimize risks. In this regard, Drummond provides a set of equipment according to the function that is being performed. These allocations are made once or twice a year, depending on need and the wear and tear from the activity being performed. The equipment includes uniforms, electric gloves, thermal suits and neoprene boots, among others. 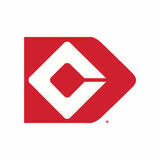 Drummond Ltd. is a company that shows a genuine interest in the welfare of its employees through its acts. Although it carries out its economic activity in a demanding industry, requiring huge investments, it has always been a company that rewards its employees’ efforts generously. For that reason, it does not just strictly comply with its legal commitments, but rather it goes much further; in fact, its extralegal benefits have earned it recognition as a highly competitive company, at the local and national levels. The company offers aid and scholarships for preschool, elementary and middle school, high school or university. During 2015, at total of 8,914 aid packages were granted.